The Hard Rock Hotel & Casino Atlantic City announced they agreed to a deal with the Kindred Group to bring Kindred’s experience with Unibet Sports to the Hard Rock. The agreement is announced to run for 5+5 years. With it, Hard Rock and Kindred, formerly Unibet Group, announced their intention to offer online gaming options, including sports betting and more traditional gaming options. The agreement appears to only be for online sports betting, instead of opening a physical sportsbook in the new Hard Rock Resort & Casino in Atlantic City. The Hard Rock is one of the few casinos without a sportsbook in new Jersey currently, but the recent announcement will likely change things for the Hard Rock soon. There’s no date currently set for any sportsbooks, physical or online/mobile. The deal with Kindred is the second deal that Hard Rock has made with sports betting companies. In July, Hard Rock came to an agreement with bet365 and pursue sports betting. 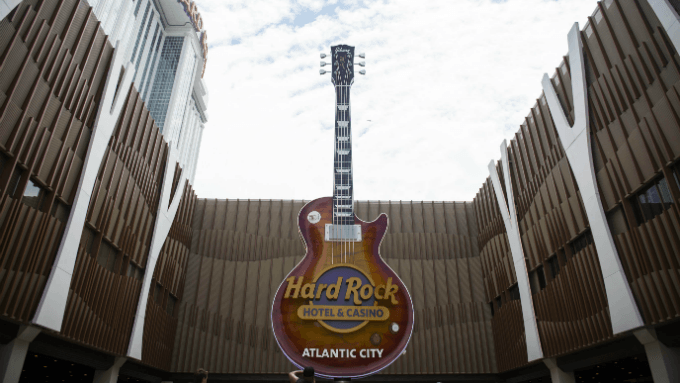 The one thing holding Hard Rock back in general was explained by CEO Jim Allen at the opening ceremony for the Hard Rock Atlantic City in late June. At the event, Allen said that the company was under some restrictions due to their partnership with the Miami Dolphins and the NFL. Little has been announced about the Hard Rock/bet365 deal since being uncovered by the media. However, the Kindred Group deal has been formally announced by both parties and appears to be moving forward faster. While the Hard Rock doesn’t have a sportsbook yet, other casinos and racetracks have been taking off with physical betting locations. William Hill opened the first sportsbook in the state at Monmouth Park in June. FanDuel, now owned by Paddy Power Betfair, was close behind with a sportsbook at the Meadowlands Racetrack. Borgata also opened with the Meadowlands and Monmouth, with MGM as their partner. Ocean Resort followed under their own branding. DraftKings is the only bookmaker with a mobile service live outside of Nevada. Beating everyone to the mobile punch, DraftKings paired themselves with Resorts to bring their betting to consumers. FanDuel hopes to have their mobile betting service live before MGM’s CEO also slipped that they hope to launch their own mobile sports betting app within the near future.